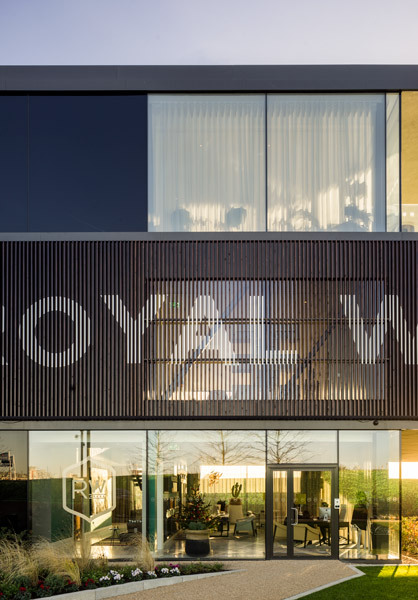 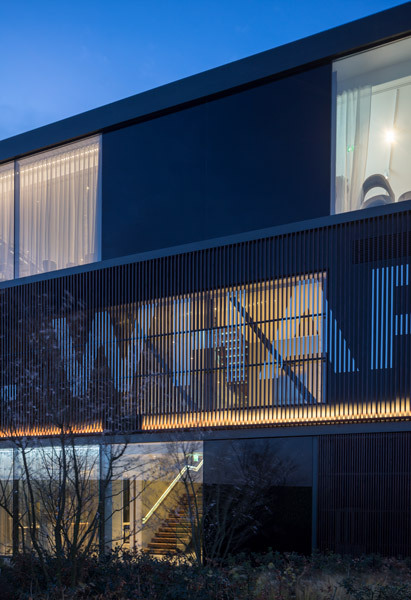 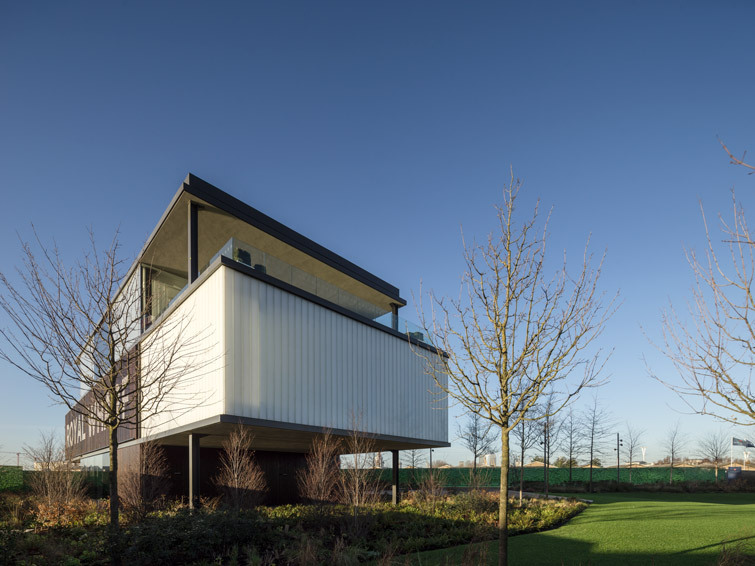 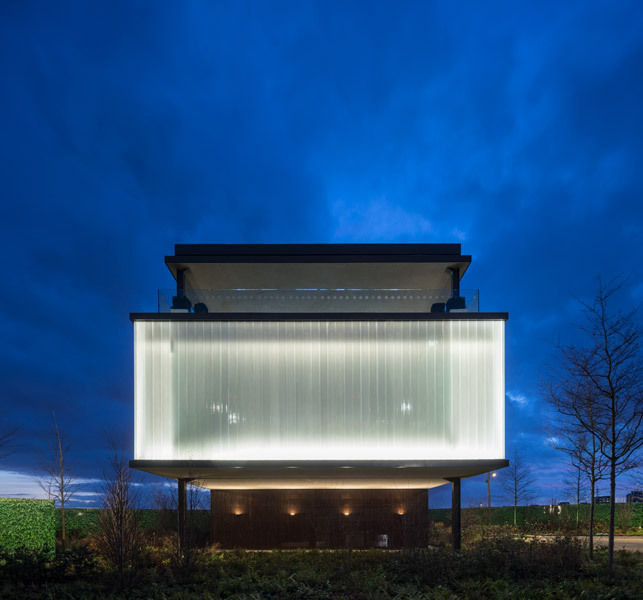 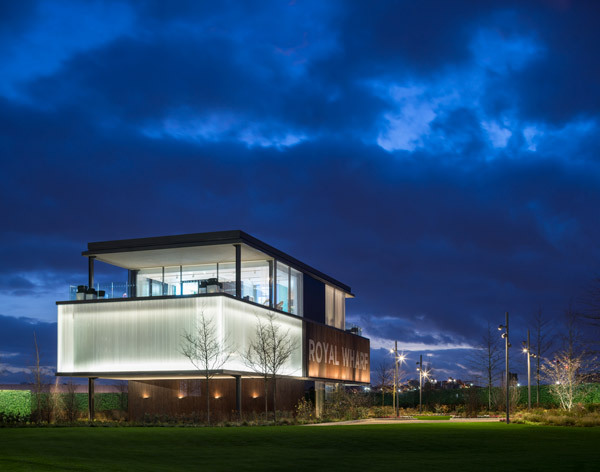 Won in competition, HAL Architects have designed this marketing pavilion as part of the Royal Wharf development, near the Thames Barrier. 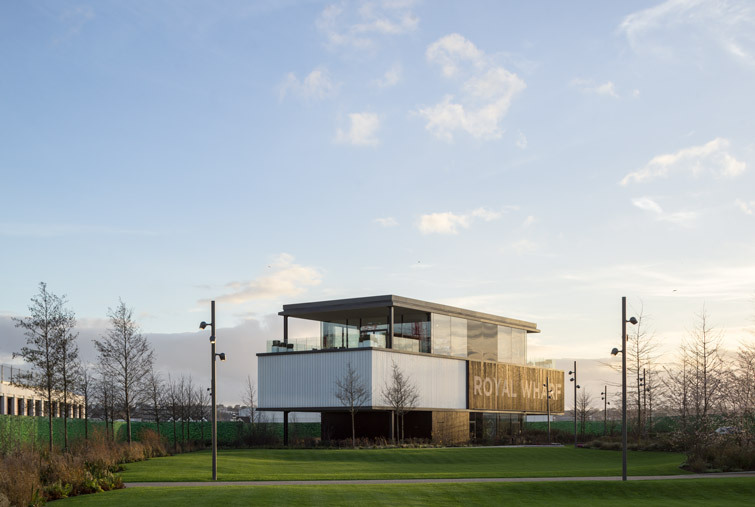 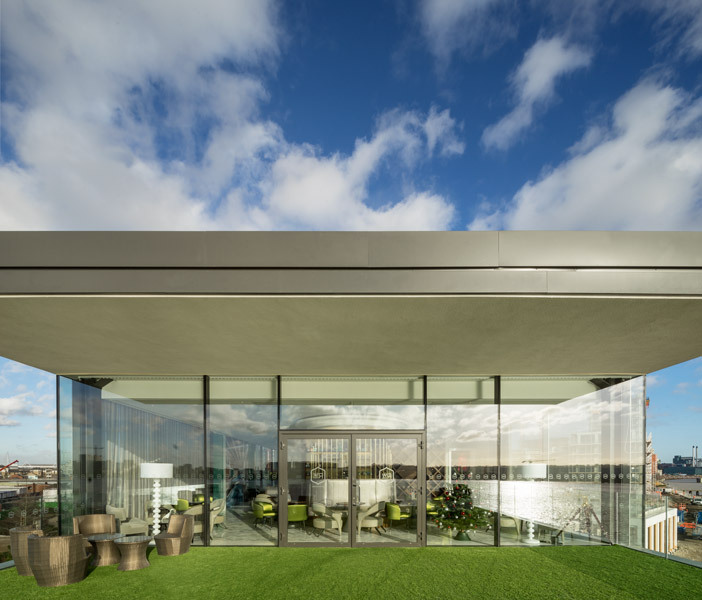 The building is elevated and therefore maximises views along the Thames, to the new landscaped park. 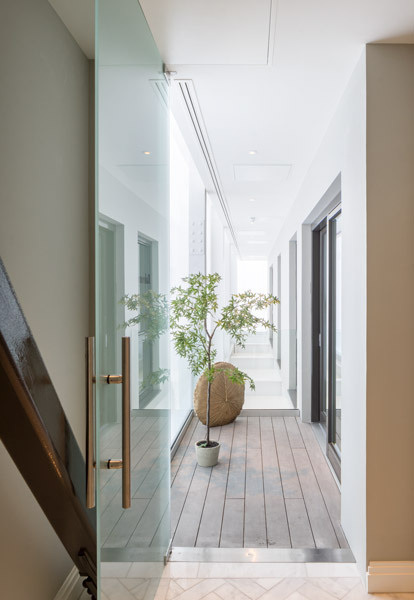 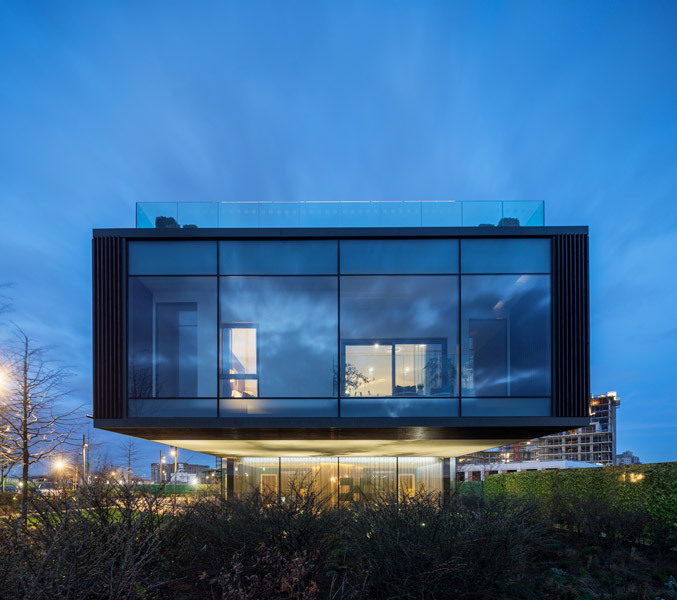 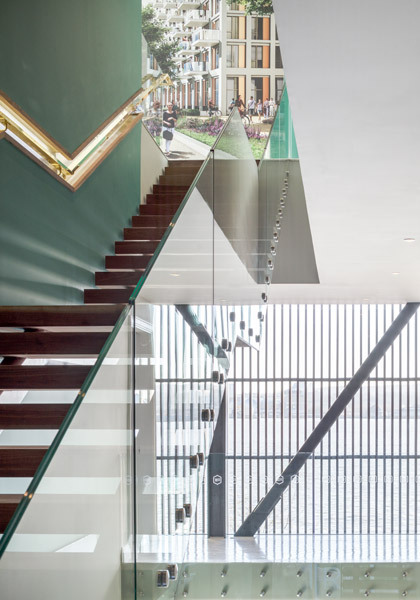 The design features filigree timber cladding, extensive glazing, frosted glass to reduce views where appropriate to the interior function, and a second floor terrace with fantastic views. 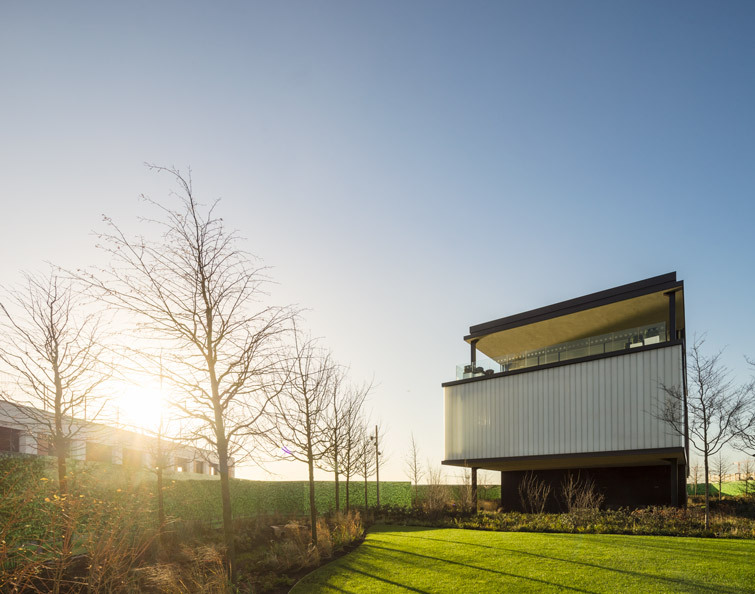 The building sits harmoniously within its landscaped context.